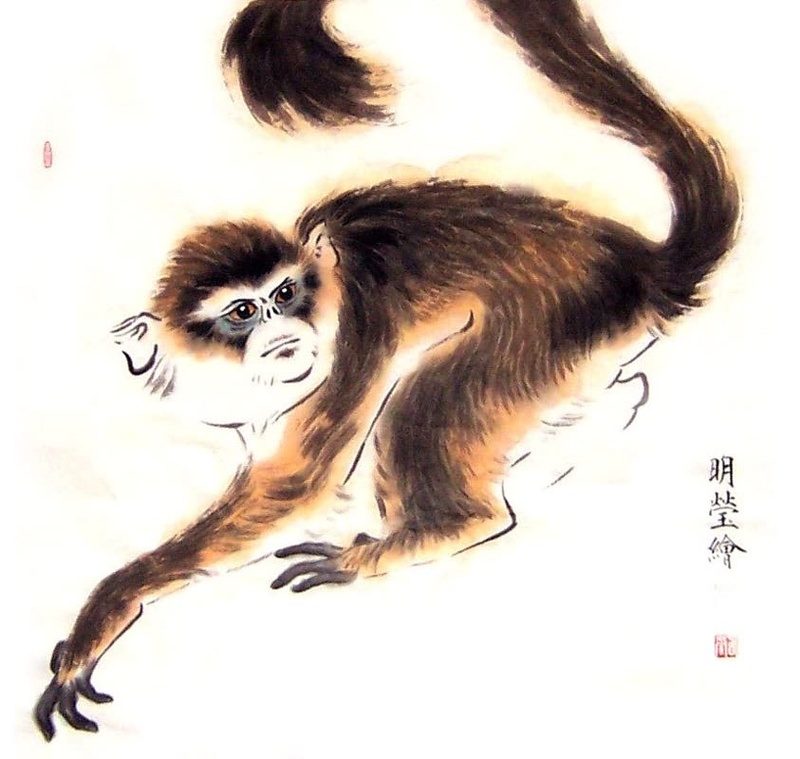 The form contains some old elements eliminated from more common forms, like jumping kicks and emphasizes fajin in almost every technique, which makes it look quite similar to Small Frame Chen of which Wu Style was partly derived. Last edited by HotSoup on Sun Jan 27, 2019 3:02 am, edited 1 time in total. I thought "small frame Chen" just meant that same Chen form but with tighter circles (or a smaller emphasis). Therefore I don't see how it would look like this, which doesn't look different to other Wu/Hou I've seen? Last edited by GrahamB on Sun Jan 27, 2019 6:30 am, edited 1 time in total. GrahamB wrote: I thought "small frame Chen" just meant that same Chen form but with tighter circles (or a smaller emphasis). Actually, it has nothing to do with the size of circles. Both Big and Small frames start with big circles and shrink them alone with the student's progress. As the name states, the main difference is in the body frame each method tries to develop, which implies somewhat different body requirements, in how the yuandang is formed, for instance, or how the hands are used. Apparently, the forms are not the same either, but that is of lesser importance, of course. In short, they are both sub-styles of Chen with their own lineages and masters. Studying Big Frame doesn't enable one to be able to practice the Small one, it's a different method that needs to be studied separately. Last edited by HotSoup on Sun Jan 27, 2019 7:13 am, edited 1 time in total. Originally it was called xinjia - new frame. Back in Chen Changxing's time he reworked the forms we have today. IIRC around the same time Chen Youben created the xinjia of the time, but the forms are virtually identical. When Chen Fake's changes came to the village the name xiaojia was given to the older xinjia , and now xinjia refers to Chen Fake's changes, so I wouldn't place too much meaning on the name. I haven't studied xiaojia, but that is the form that Chen Xin did and his book is the Chen taiji bible. There are a couple minor differences in the form, but the body requirements all seem the same as what I have been taught. If someone can spell out specific differences in body requirements I'd like to see them. Here's a video of Chen Boxiang doing xiaojia yilu. Notice than his movements aren't any smaller than CXW or CXX. robert wrote: Originally it was called xinjia - new frame. Back in Chen Changxing's time he reworked the forms we have today. IIRC around the same time Chen Youben created the xinjia of the time, but the forms are virtually identical. When Chen Fake's changes came to the village the name xiaojia was given to the older xinjia , and now xinjia refers to Chen Fake's changes, so I wouldn't place too much meaning on the name. I haven't studied xiaojia, but that is the form that Chen Xin did and his book is the Chen taiji bible. There are a couple minor differences in the form, but the body requirements all seem the same as what I have been taught. Well, it takes at least some basic training in both to understand the difference. robert wrote: If someone can spell out specific differences in body requirements I'd like to see them. I haven't studied xiaojia, but that is the form that Chen Xin did and his book is the Chen taiji bible. There are a couple minor differences in the form, but the body requirements all seem the same as what I have been taught. If the same body mechanics as the same as large frame but smaller, it’s wrong. In Xiaojia, or small frame, the alignment of structure is strict, detailed and the connections direct. Not dantian moves first, sequentially out to the fingertips. Instead, everything moves together at once. Thus the expression of xiaojia is more compact, looks more simple as the mechanics not as evident. The teachers who focus on Xiaojia regard it as harder to understand and a progress from the evident to the hidden and invisible. They also regard it as more martial and more practical. The large frame should be taught first, but not all Chen stylists progress from the large to the small. Last edited by Bao on Mon Jan 28, 2019 2:10 am, edited 4 times in total. Bao wrote: The large frame should be taught first, but not all Chen stylists progress from the large to the small. Nope, the two in most cases have never been learnt together. Chen Boxiang from the video above never learnt Big Frame, nor did his teacher, Chen Kezhong, because neither frame is the pre-requisite for the other. What they really are is the separate lineages and methods. The goals are the same, but some of the details of how to achieve them are not. Both frames are equal in what they are designed to achieve (as any other TJQ style, actually. No need to start with Sun to learn Wu/Hao). What Chen Ziming meant was that the big circles should be learnt first, and then one progresses to the small one. This is the traditional way of practice in both Xiao- and Dajia. Why it's not taught like that by the Chenjiagou tribe nowadays is another topic. HotSoup wrote: . What they really are is the separate lineages and methods. The goals are the same, but some of the details of how to achieve them are not. Both frames are equal in what they are designed to achieve (as any other TJQ style, actually. No need to start with Sun to learn Wu/Hao). That is what I have understood as well. For modern Hao and Sun, I do believe that they have gone in other directions, so much of what is still presented in Xiao Jia and in Old Wu (before Hao) is not there anymore. So for anyone who wants the "whole thing", all of the theories and different aspects, it's often better to study an older Xiaojia or an older Wu lineage. Both very hard to find though, if you don't know where to search. This is some of the nicest Wu / Hao style I have ever seen, not sure how one of the commenters above can say it's a lot like most of the Wu/Hao out there. In most of the commonly practiced / shown Wu style these days the fajin and kicks are almost completely absent, this guy is showing fajin in almost every move - especially in the last few minutes of the form, much more 'martial' in appearance than most Wu/Hao. All the 'popular' styles (Yang, Hao, Wu) seem to have undergone the same change at around the same time - wonder why? Don’t know about this preformace, yes it looks good, but that’s it. FaJin ? - Kicks nice and relaxed ? I feel his kicks are “struggling” to get up, jus as my “Taiji” kick’n, and he seem to almost getting lost there at one point in the form. Thought it was ok. Not a big fan of his stopping movement, semi-fajin or whatever. Continuous, well connected chousi throughout the form is what I tend to appreciate in good performances. Didn't totally recognize the second part of the form. Some differences from the standard Hao. nicklinjm wrote: this guy is showing fajin in almost every move - especially in the last few minutes of the form, much more 'martial' in appearance than most Wu/Hao. All the 'popular' styles (Yang, Hao, Wu) seem to have undergone the same change at around the same time - wonder why? Why do think all of the "other" styles have taken away martial aspects? Isn't it possible that Chen style has added "fajin" later? And why would "fajin" make a Tai Chi form more "martial"?